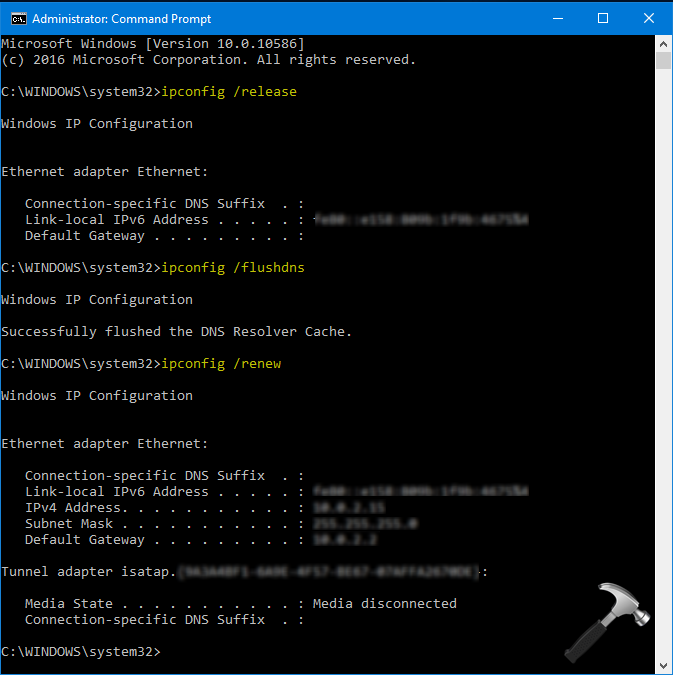 If you can't get online in Windows 10 & running Windows Network Diagnostics shows "Your DNS server might be unavailable (Not fixed)", here's how to fix it. In the world of networking, the Domain Name System (DNS) is the basic element for propagation. DNS simply resolves human-readable domain names into machine-readable IP form, and vice versa. Thus if your machine can’t communicate with the DNS server, the Internet would not work on your system. This article talks about one such network issue where DNS is playing crucial role and you can’t get online due to it. 1. Turn off the router or reset it, wait for few seconds, restart the router and see if you still get message. 4. Reset Network settings to default. If you still have the issue, FIX 2 may finally help you. 2. 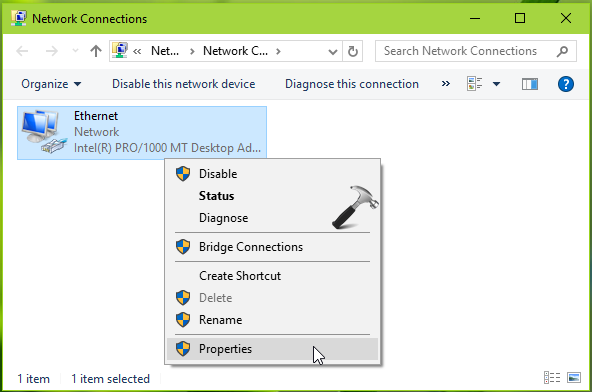 In the Network Connections window, select your primary network adapter and right click on it, choose Properties. 3. Next, on the property sheet, select Internet Protocol Version 4 (TCP/IPv4) option and then click Properties. 4. Finally, on the Internet Protocol Version 4 (TCP/IPv4) property sheet, check Obtain an IP address automatically. Then select Use the following DNS server address and type Preferred DNS server as 8.8.8.8 and Alternate DNS server as 8.8.4.4. These values are for Google DNS server. If Google DNS server address doesn’t works, you can use OpenDNS server address. For that, use the respective values for Preferred DNS server as 208.67.222.222 and Alternate DNS server as 208.67.220.220. Check Validate settings on exit option. Click OK and the settings should be in effect with that. Thus the network issue you’re facing must be resolved now.